There’s something primal and infinitely satisfying about cooking outdoors. For modern families, the BBQ grill is much more than a way to give “Mom” a break from the kitchen. BBQ grills have become a central feature when entertaining friends and family, for tailgate parties and even intimate dinners. In other words, a way of life. The range and scope of BBQ grills has changed dramatically over the years with numerous models and features. 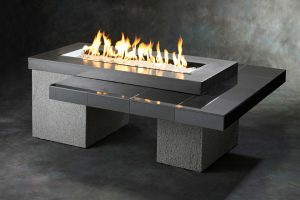 There are traditional outdoor types, hibachis that can be used on a fireplace, and even stove-top models. There’s far more to consider when purchasing a BBQ grill than its appearance. BBQ grills vary widely in price. Some can even double as smokers, but there’s no single “best” grill for everyone. The best grill is the one that’s right for you and your lifestyle. Bigger isn’t always better and the larger the grill, the more expensive it tends to be. Know how much you’re willing to spend before you go shopping. A small and serviceable grill can be had for as little as $1500, and a high-end model can cost upwards of $10,000 depending upon features. Quality in materials and workmanship counts and it’s important to remember that well-performing grills of all types are available to fit your most discerning taste. Some BBQ grills are gleaming monuments to how many features can be packed into a single unit. However, the size of your cooking space is one consideration you must make carefully. Always look to the main cooking grate size. 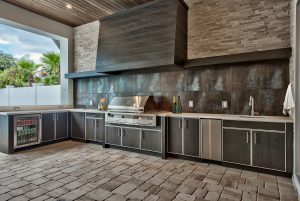 Some BBQ grills come with upper tier warming racks and this space can be included into the total cooking space measurement. An important feature on your BBQ grills’ cooking area is heat distribution. There is nothing worse than cooking two steaks side by side and having to cook one longer than the other due to uneven heat underneath. Food on a grill should never be crowded – count on leaving about .5 inches around each piece of meat for it to cook appropriately. Of course, the space you’ll need will depend on the type and quantity of meat you’ll typically be preparing, whether you’re grilling burgers, hotdogs, chicken or steak. Additional space will be needed if you intend to grill vegetables. About 72 square inches of cooking space per person is optimal. That translates roughly into the size of a dinner plate which is enough to feed a party of 4. If you’ll be cooking a turkey, you may need at least 12 inches of head space in the hood to accommodate the bird. Wood pellets – Grills that use wood pellets are one of the newest and rapidly increasing in popularity. Temperature control is highly accurate, allowing grillers to “set-it-and-forget-it.” Grills that use pellets are typically popular for slow cooking and smoking. No matter which grill fuel type you choose, it’s important to acknoledge that all will cook your food and your preference will dictate which one is best for you. Smoking is a popular pastime for many and can create some of the most delectable flavors desired. However, some grills can double as smokers and offer a similar flavoring results. The way you start your grill is as important as its cooking ability. Gas grills typically have an electric igniter that produces a spark and is powered by a small battery. They’re quick and easy. Without an “electric start,” you’ll may need matches to ignite quick acting charcoal or your wood pellet grill may come with a hot rod that ignites the pellets. The materials that grills are made of run the gamut from cast iron and aluminum to stainless steel. 304 Stainless steel is the material of choice for high end grills that are built to last. You can also choose grills with powder or ceramic coverings that help impede rusting. Inexpensive painted grills may chip and peel, exposing the metal to the elements that result in rust and deterioration. Enamel coverings don’t fade and can endure high heat, but can become brittle over time. Whether you choose a portable model or one that’s anchored to a single location, there are some items to consider before you purchase. You should also examine the grates where you’ll be cooking the food. Some grates are sturdy and built to last even with high usage, while others are formed from cheap, lightweight metals. The good news is good quality grates can be purchased to replace inferior pieces. Some people consider a rotisserie and side burners a necessity, while others don’t care. If you’ll be roasting chicken or turkey regularly, you will find a BBQ grill with a rotisserie very useful. Rotisseries will also require an electric source. Rotisseries also come in various weight capacities, so make sure yours is able to handle your needs. Even the least expensive grills incorporate a thermometer into their design, but they can be cheaply made and inaccurate. Invest in at least one good thermometer for inside the grill, preferably a digital model. 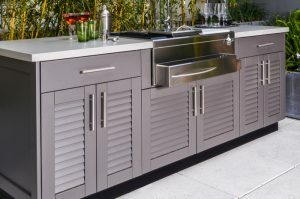 If you would like to install a luxury built-in BBQ grill into your outdoor kitchen, make sure to follow the maintenance guidelines from the manufacturer. It will definitely extend the life of the grill and make cooking more enjoyable. Unlike inexpensive grills, you will always find replacement parts for high-end grills. Another great feature of luxury BBQ grills is that you can adapt it from propane to natural gas if desired. Be sure any shelves are sturdy enough to hold heavy dishes. Wood racks are attractive, but may not be as durable. Storage space for cooking utensils and other necessities can be time savers. Side burners are a great convenience and a must have for many grill masters. Grills typically come unassembled – don’t overestimate your ability to assemble the pieces. It’s not just a question of ability. You’ll also want to consider if you’ll use your grill only at home, if it will be used for small or large gatherings, and if it will be required to do double as a portable grill for events such as tailgate parties. 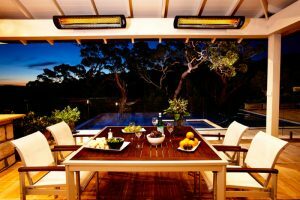 A BBQ grill can be a great asset to your home and lifestyle. Do your research and take a look at a variety of models before deciding which one to purchase. 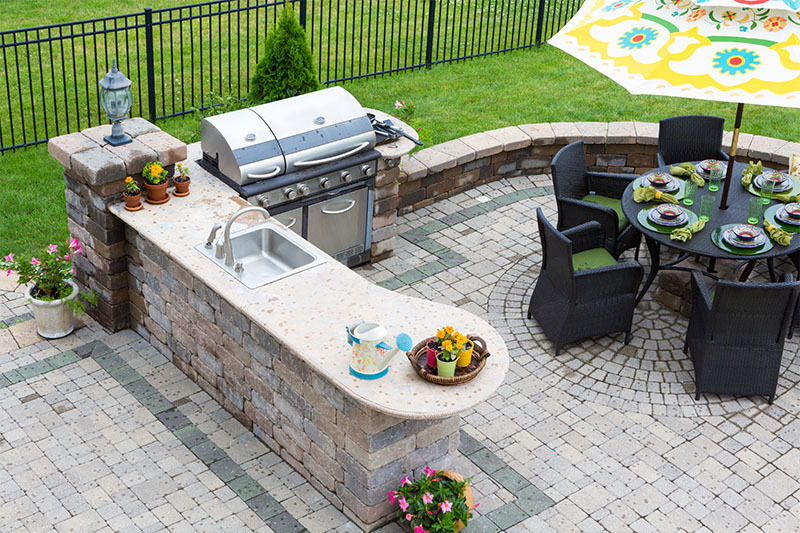 Multiple factors will determine the grill that’s best for you, such as how often you use it, your budget, and if it will fit into the space where it will be located. Grilling is fun, bringing together family and friends in a celebration of life. Grills can be used in any climate and season, even in the dead of winter. The diversity currently available in grills is changing the way people around the world cook and spend their leisure time, offering the ability to create chef-styled meals any day of the year.